Our HD-5217 model 1080P bullet style IP camera delivers excellent quality video recording, while still meeting even the smallest of budgets. 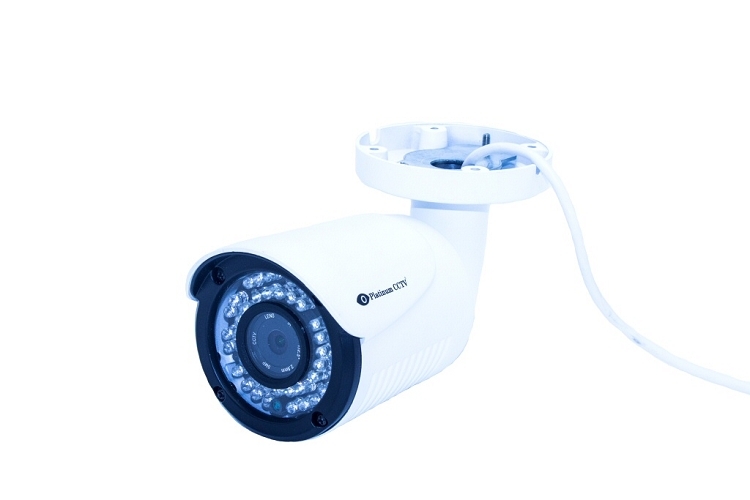 This camera features our 7th generation video processor for best quality and color reproduction combined with an IP66 rated compact size bullet housing with infrared capabilities for night vision. This camera performs well both indoors and outdoors with IP66 vandal resistant and weatherproof rating. The all metal housing adjusts in all directions, allowing it to be mounted on a wall, overhang or ceiling easily. Bullet style security cameras are well-recognized, helping people know that they are being watched and helping to deliver a deterrent effect. The camera can be powered with the built-in PoE or with the auxiliary power connection. PoE is the most popular connection, which allows this camera to pull power from a special PoE switch right through the CAT-5 or CAT-6 network cable. The RJ-45 connector on this camera is also a weatherproof style connection to help ensure long life of the camera. The flat front of this bullet camera with all glass lens is the optimum for infrared night vision conditions. The glass stays glare free, and permits crisp and clear night vision by isolating the lens between the image sensor and the IR LEDs with independent glass for each. With glass lens covering, it also makes these cameras easier to clean than their dome counterparts. Record from this camera using our industry-leading AVM Lite software (up to 4 cameras) free of charge with purchase of this camera. This software contains all of the same features and functions of our full version AVM software, but limits recording to a rolling 7-day storage. Upgrade to the full version at any time. This software makes finding your recorded video a breeze, even scan through days of video in seconds. 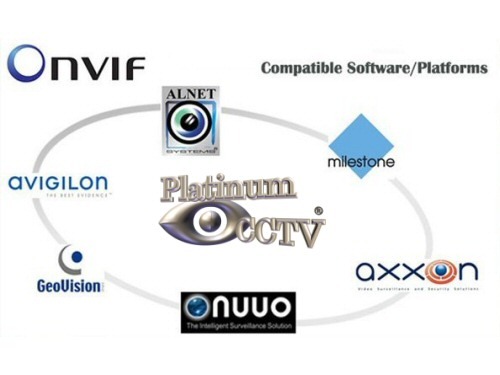 Find out more about our AVM sotware. This Feature-Rich mini bullet camera delivers great quality video for home and business from a small housing.